KXJ 1330 Juneau is a classic hit formatted online radio station, broadcast from Juneau, Alaska, serving Southeast Alaska, with frequency 1330 kHz. This radio station entertains its listeners by streaming all sorts of classic hit songs of diverse categories one after one. This station was founded in 27th May 2011; owned and operated by Alaska Broadcast Communications. The compassion spirit of KXL is to keep amused its listeners all day all time by playing Classic Rock, Hits and Pop music. KXJ 1330 Juneau official website address is kxjradio.com. To get more information visit KXJ 1330 Juneau website- www.kxjradio.com. KXJ 1330 Juneau is an online music radio station. Launched in 2006 as KTNL, in 2007, the callsign was changed to KXLJ, which became a partner for Air America. When Air America went under in 2010, KXLJ became an ESPN Radio affiliate. It locally owned and operated since 2011. On May 12, 2011, Seattle Streaming Radio, LLC sold KXLJ to Alaska Broadcast Communications for $250,000. 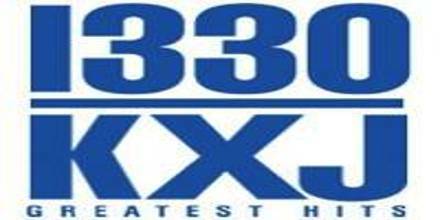 On July 1, 2011, KXLJ changed formats to classic hits as “1330 KXJ”, a “nod” to Los Angeles’s KHJ from the 60s and 70s, under new KXXJ calls. Audience participant, talk show, special guest invitations programs are very popular of KXJ 1330 Juneau radio station. Weekend programs are most popular songs, regardless of genre.The programming usually cycles from the least attractive item, to most attractive, followed by commercials. The purpose of this plan is to build listener interest during the programming. After all, all programs undoubtedly win the loyalty of their listeners. On-Air Staff’s are; John McCoy, Richard Burns, Jerry James, and Kelly Peres. Liveonlineradio.net has KXJ 1330 Juneau Radio in its listings. Just click and enjoy. KXJ 1330 Juneau Radio– www.liveonlineradio.net/alaska/kxj-1330-juneau.htm.